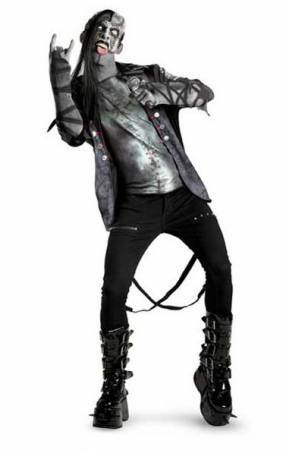 Rock the evening as an undead minion of metal! The costume comes in one adult size of X-large, and includes shirt with stapled skin and half character mask with attached black hair. Does not include makeup or shoes. Let the nightmarish sounds of hell loose this Halloween! Costume comes with: Jacket/shirt and mask.